1. A book will create a lasting memories. Not only will kids or friends remember a special story to read over and over, they will remember the warm feelings the story evoked. 2. A book will last longer than an electronic toys which break easily. Print books never need an internet connection and don't need to be plugged in to anything. 3. Books do not generate their own noise. You will not have to hunt it down in the middle of the night when it makes a creepy whine as it's batteries die. 4. Books store easily. There are all sorts of products made just for storing books! 5. Many books today are made of recycled materials. When you buy a book you are saving a tree. 6. Books can be used over and over again. 7. Books can be shared between generations. Grandparents can share books with grandchildren, grandchildren grow up and can share their favorite books with their grandchildren. 8. Books make handy paper weights and flower petal flatterers. A nice stack of them can double as stand to hold your coffee cup while you sit in a comfy chair reading a book. Hard bound books are a beautiful decorative item. 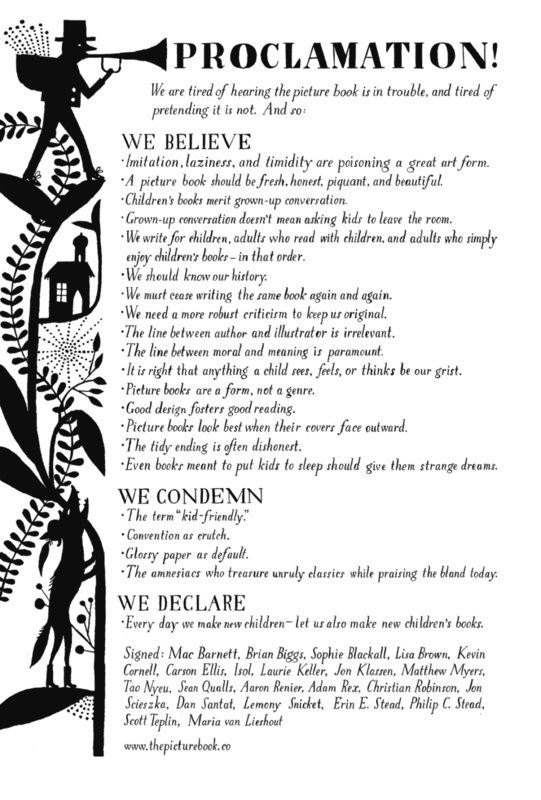 A Proclamation from Authors- A declaration of Books! I hope you decide to give a book as a gift this Christmas. I know a print book can be expensive, but it can't be accidentally erased when you re-boot your system either. Can you think of a good reason to give a book Christmas? Leave your answer in the comments. 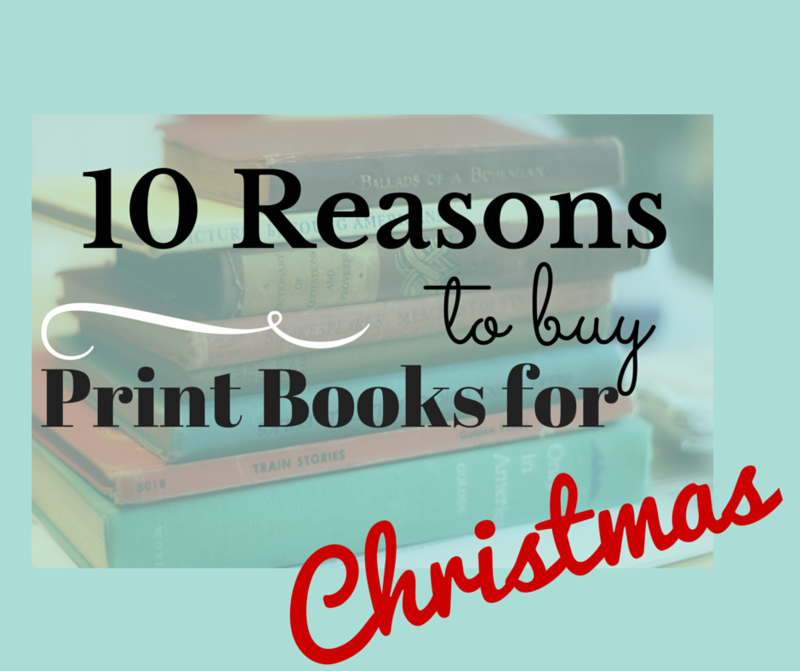 Next year I want to have twenty reasons for buying a print book! I completely agree. Gifting print books as christmas gifts for the kids is such a great present - especially these days when they're given so many other toys. Books are such a lifelong present and I love taking the time to write a little note on the inside cover, something they can read back and remember years later!